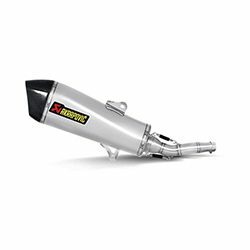 BMW R 1200S enthusiasts who want to upgrade their exhaust system should look no further than the Akrapovic Slip-On system. 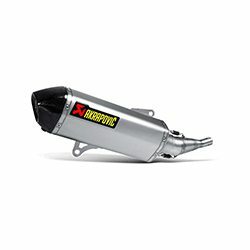 As a base-level tuning component it offers and excellent combination of performance, production quality and affordability, as well as stylish visual enhancement. 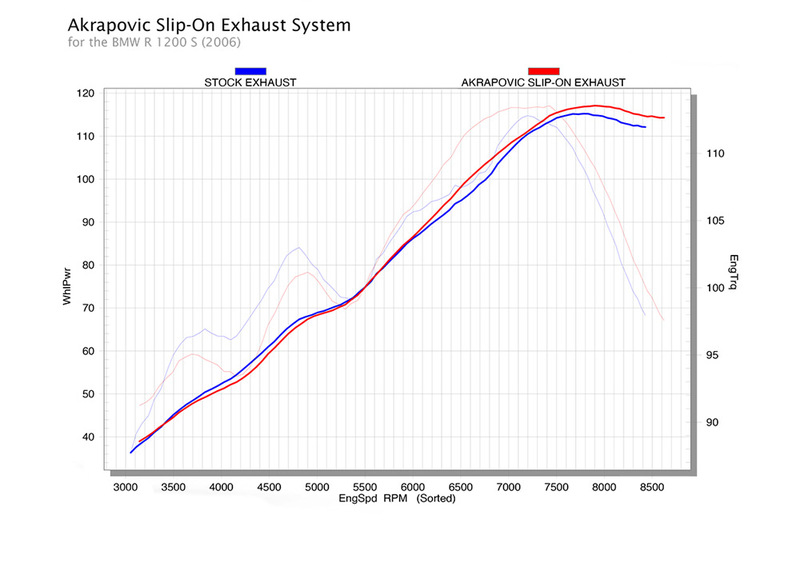 More racing-oriented riders should look at our Racing or Evolution system. 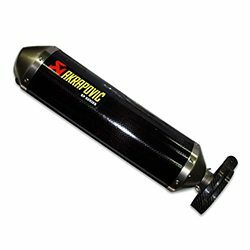 The EC Type approval versions of the systems include noise dampers. 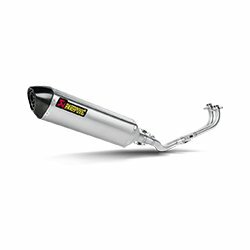 This exhaust is not legal for street use. 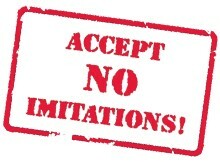 THIS PRODUCT DOES NOT MEET EMISSION COMPLIANCE REQUIREMENTS FOR STREET OR HIGHWAY USE. 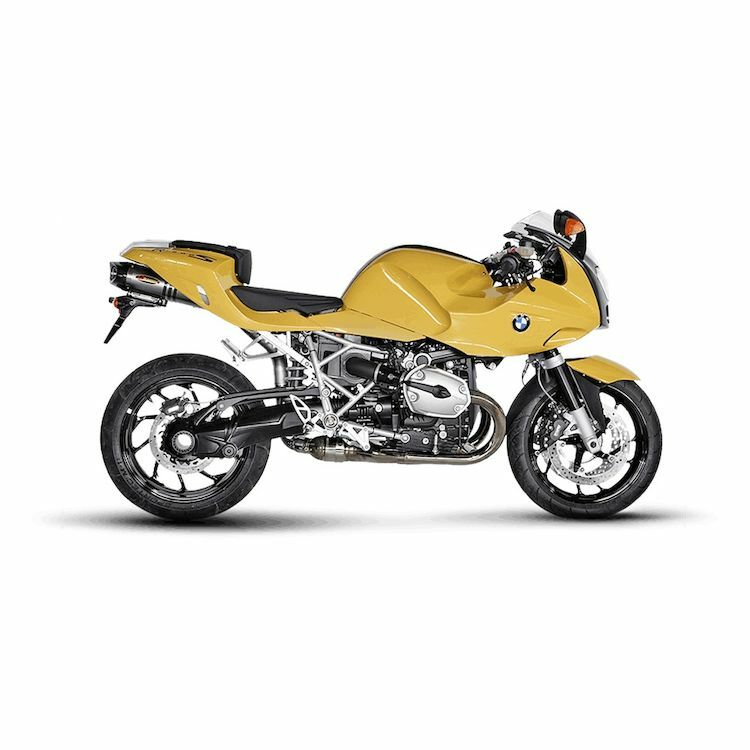 Power & Torque: the Akrapovic Slip-On system provides increased power and torque at the top end of the range, from 5500 rpm on, enhancing the sports character of the R 1200 S. Max. power at 7900 rpm is 117.1 HP. 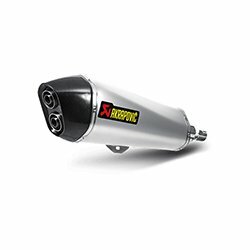 If you need more power than this, we also offer Racing and Evolution complete exhaust systems. 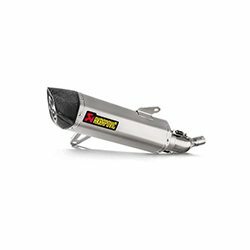 The Akrapovic SLIP-ON system is composed of a free-floating conical link pipe and a second link pipe welded to the muffler. The titanium link pipes are held together using a sleeve joint secured with silicon-shielded springs. 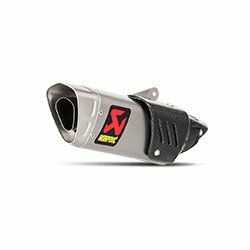 The Akrapovic link pipe is also at-tached to the stock header assembly with a sleeve joint secured with silicon-shielded springs. 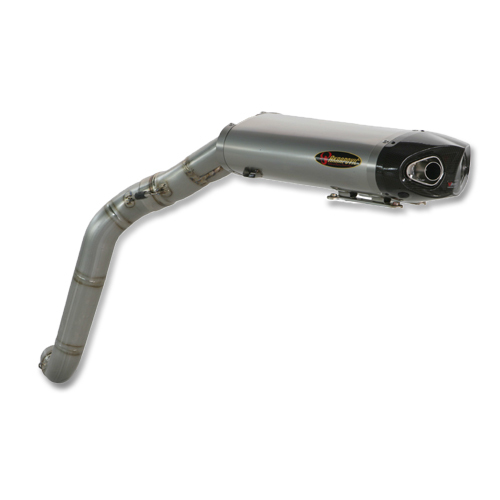 The muffler comes with a titanium outer sleeve. The muffler interior and inlet cap are made entirely of titanium, while the outlet cap is made of carbon fiber. 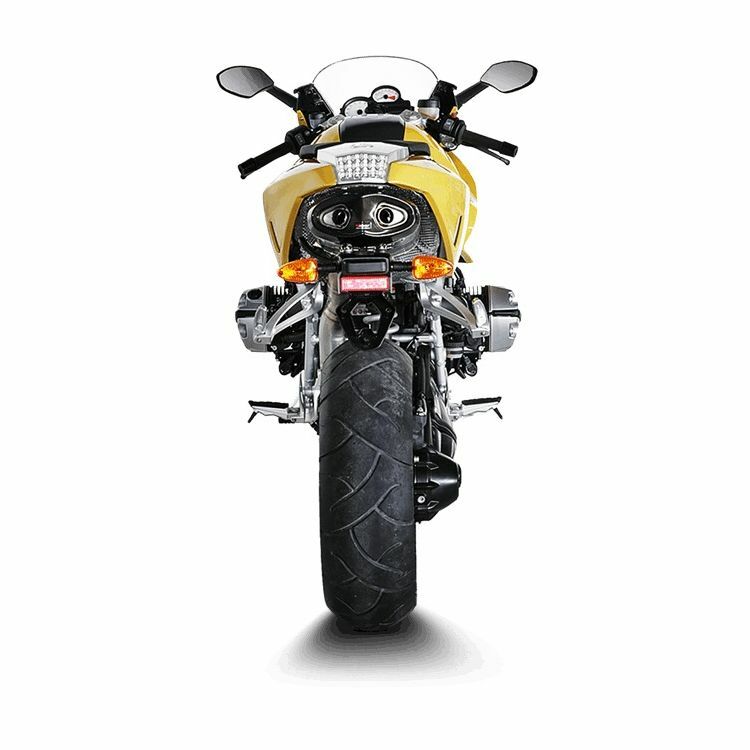 The muffler is attached to the frame using an Akrapovic carbon fiber clamp and a metal bracket. 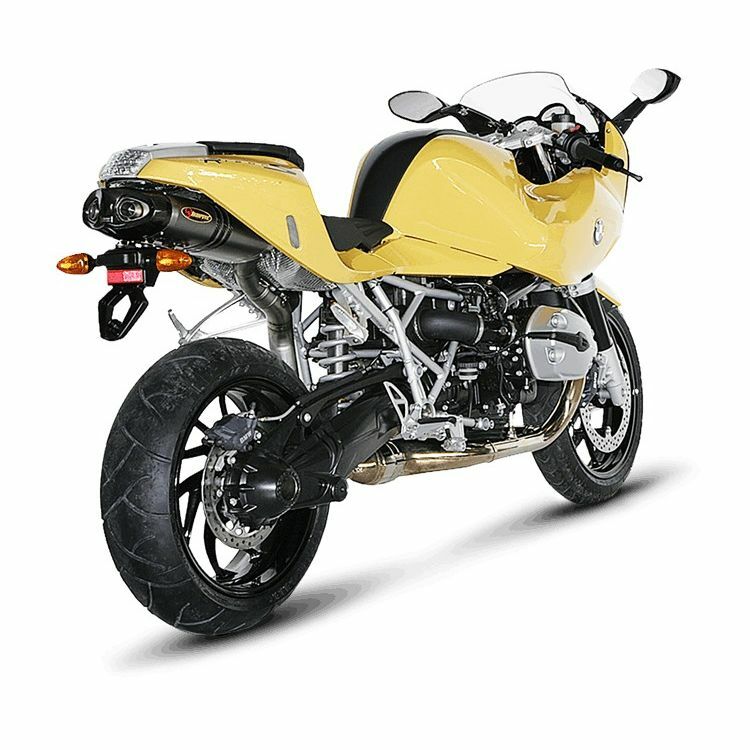 The Street Legal version includes a noise damper installed in the muffler.